REJINA PYO is now one of the most anticipated shows at London Fashion Week, and it's easy to see why with her equally modern and elegant pieces. 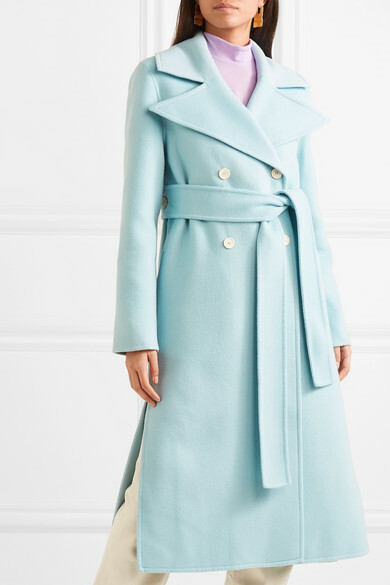 Made from sky-blue wool-blend felt, this double-breasted coat is cut with wide lapels and a slightly cocooned shape that evokes vintage styles. 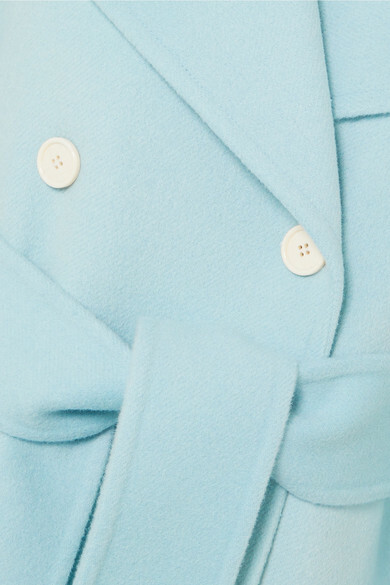 Turn to reveal the unexpectedly placed buttons stitched onto the back. Shown here with: Helmut Lang Jeans, REJINA PYO Top, Gu_de Bag, The Row Sandals.